'Ohana Arts & Hula Studio offers an authentic cultural experience. Besides sewing, arts and crafts, and other classes that I teach, I also teach Polynesian dancing to children via my Kinderhula and Polynesian Dance Studio programs. We are available for your celebrations, parties, and special events. 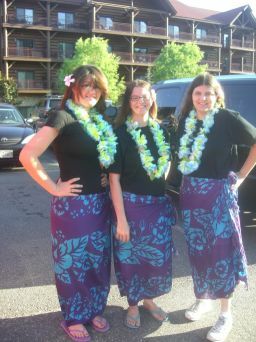 Our troupe specializes in Hawaiian, Tahitian, and Maori dancing. A great addition to any event or theme, each performance is customized according to your needs. Looking for Polynesian dance entertainment and services? Look no further! We are Hampton Roads' premier authentic Polynesian entertainment group, providing an authentic, professional experience captivating audiences with a visual tour of the Polynesian islands with our very own Noelani's Polynesian Revue. We are dedicated to providing an ultimate experience for you and your guests to enjoy the beauty of Polynesia. With years of experience, we have designed a program that works for every event and we can customize your event with every budget in mind. Let us bring the islands to you! * and many other commmunity events and private parties! Experience the 'Ohana Arts & Hula Studio difference! 1. We offer quality customer service: Our clients, fellow hula "sisters" and "brothers," and even our competitors know that we go above and beyond to ensure our clients are extremely satisfied. 2. We offer written contracts: For your peace of mind, we require signed contracts and a deposit. We do this to make sure your special day goes smoothly. 3. We book only one event per day: This ensures personalized attention and happy clients. 4. We offer custom choreography: Our lessons and performances are customized upon request. If you have a theme or special request, we will do our best to accommodate you and make special memories. 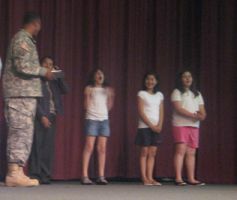 We also performed at Fort Eustis. Guest speaker was Allen Hoe. Special thanks to Captain Leonani York for inviting us. For more information or for any inquiries about lessons, bookings, or if you are an entertainer looking to join our team, please email me at lisarobbins@ohanaartsstudio.com. Mahalo nui! Big thanks!